When you hear the word 'lithium', what do you think of? Maybe it reminds you of a Nirvana song. Or perhaps you know lithium as one of three elements that comprised the universe when it first formed billions of years ago. Lithium, a trace mineral your body requires, is all these things and so much more. Fun fact: the original recipe for the citrus soft drink 7-Up included lithium. When it first came out, the company called it “Bib-Label Lithiated Lemon-Lime Soda" (a mouthful!) and it went on sale two weeks before the 1929 stock market crash. 7-Up outperformed 600 other citrus sodas on the market; people loved it because it elevated their moods. The company advertised that the soda "takes the ouch out of grouch!" Today's 7-Up no longer contains lithium, but we can still find low levels of this vital and mood-balancing nutrient in our food and water. It gets into our food and water because it occurs naturally in soil and stones around the world. Lithium is best known for uplifting mood, improving focus, and helping you respond to stress. Less well known is that lithium offers a host of other therapeutic benefits, many of which go far beyond your brain. Lithium is in the same class as the mineral electrolytes sodium and potassium. Many experts consider lithium an essential nutrient with a provisional recommended daily allowance (RDA) of 1 mg (milligrams) daily for an adult weighing 70 kg (154 pounds), which you can usually get from food and water. Lithium carbonate: lithium with carbon and oxygen (carbonate); available as a prescription medication. Lithium citrate: lithium attached to a citrate molecule; available as a prescription medication. Lithium aspartate: lithium combined with the amino acid aspartate (aspartic acid). Sold over the counter. Lithium orotate: lithium with orotate — a salt compound derived from orotic acid. Your body produces orotic acid in the intestines. Lithium orotate is sold over the counter. Below is a brief list of ten lesser-known health benefits of lithium. While this list is not exhaustive, it provides insight into how this powerhouse nutrient can boost your overall wellness. While most people associate lithium with brain health, you may not understand the many ways it helps. The mineral can boost gray matter in the prefrontal cortex region of the brain — the part associated with emotion, thought, and personality — in otherwise healthy individuals, as well as white matter. Researchers suggested that lithium does this by stimulating the brain to generate new stem cells, which then develop into neurons. Research has found that the neuroprotection properties of lithium can revolutionize the field of brain research and neurodegenerative disease. However, other studies found this apparent increase was possibly an artifact of the MRI imaging used to measure it, and lithium-induced brain hydration may actually account for the greater gray matter volume measured. 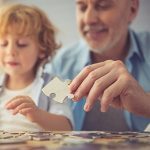 The jury's out, but research does demonstrate lithium's ability to protect the brain from normal wear and tear (neuroprotection) and to discourage normal age-related brain shrinkage. You can use lower amounts of lithium orotate to support therapeutic brain levels of lithium for longer periods of time, and with fewer side effects. These findings could revolutionize the field of brain research and neurodegenerative disease. The effects of calcium and phosphorus, two minerals integral to bone formation, may be enhanced through lithium supplementation. Some research indicates lithium's potential to support bone strength. Lithium appears to decrease the risk of bone fractures. Other studies have found that lithium chloride salt helped bone fractures heal by activating the "Wnt signaling pathway" — a way the body communicates to repair damaged tissues, including bone. However, the scientists only observed this healing effect once a fracture occurs. Lithium chloride also helped damaged cartilage heal. One randomized, double-blind study found that lithium worked comparably to a popular mind medicine for the most common symptoms of short attention span and even secondary symptoms like mood imbalance. The study looked specifically at how lithium affects irritability, aggressive outbursts, antisocial behavior, anxiety, and depression in adults. It also tested how the adults performed on tests of verbal learning and sustained attention. 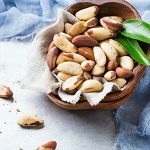 Recent research found that lithium may have potent immune-bolstering effects, simultaneously exerting immune-stimulating properties along with helping the body resist harmful organisms. Excessive prostaglandin activity can depress your immune system; however, lithium may play a role in preventing its immune-suppressing effects. Exciting research from Japan demonstrated a strong correlation between lithium and how long you live. The study analyzed 18 water municipalities with over 1.2 million citizens. They found lower mortality rates from all causes in the population groups receiving higher levels of lithium in the water supply. Not only that, the scientists found when they gave Caenorhabditis elegans roundworms (a model organism often used in anti-aging studies) comparably low servings of lithium, it also extended their lifespan. Lithium may have antioxidant properties known to provide anti-aging benefits that improve longevity. Specifically, lithium reduced damaging free radicals in the hippocampus part of the brain, though the study suggested the mineral can't completely counter the impacts of chronic stress. Lithium may boost heart and cardiovascular health in surprising ways. One study found that the electrocardiograms of people who took lithium had lower "T wave amplitude" — an indicator of heart attacks — without any decline in heart function. However, this was at a relatively high therapeutic dose of lithium carbonate, which is only available in prescription form. Early research also shows that lithium boosts the body's production of VEGF (Vascular Endothelial Growth Factor), a protein that helps your body form new blood vessels. VEGF is part of the system that restores oxygen to tissues when they are not getting oxygen. The researchers suggest lithium may help stroke victims recover by boosting the speed at which blood vessels regrow in the brain, also known as "neurovascular remodeling." Lithium encourages neurons to form synapses, which are the connections between the nerve cells. Scientists cultured rat neurons from the hippocampus — the part of the brain that organizes thoughts and memories — and found that when rat neurons were grown in culture (Petri dishes) with lithium, they formed significantly more synapses than without the lithium — over just four hours. By encouraging neurons to form synapses and grow, lithium boosts your cognitive skills, memory, and even focus! When new neurons grow, it improves your focus, memory and cognitive function ("thinking skills"). The authors suggest this may account for the gray matter boost seen in some studies. Studies have also shown a boost in neural stem cells, undifferentiated cells that will eventually grow into neurons. One study in Texas found people living in areas with higher levels of lithium in the water had consistently lower rates of suicide, aggressive crimes, and drug arrests. Similar findings were found in a study from Japan. For less serious moody blues, low-servings of lithium may also balance emotions and improve your response to temporary anxiety or stress. 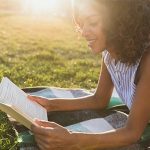 One study showed that individuals given micro-servings of lithium over four weeks reported steadily improved mood in areas related to happiness, friendliness, and energy. Promising research shows that lithium orotate is an effective remedy for headaches. One study gave 64 patients lithium orotate and concluded that it's effective for occasional headaches. Did you know that lithium is useful for various types of occasional headaches? Another study showed that lithium can calm the severity of headaches. Lithium is also known to help hypnic or "alarm clock headaches" which often affect the elderly, waking them from sleep at the same time each night. 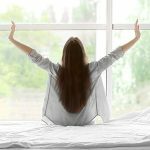 Those occasional, nightly headaches otherwise disrupt circadian rhythms and take away from restful sleep. The authors suggest that lithium may positively influence serotonin in the body, which promotes sleep. Many people are unhappy enough that they turn to unhealthy sources of comfort such as alcohol. For these people, lithium may reduce cravings. In one study, 42 patients in a rehabilitation facility for alcoholism were given daily doses of lithium orotate for six months. According to the study, "Ten of the patients had no relapse for over three and up to 10 years, 13 patients remained without relapse for 1 to 3 years, and the remaining 12 had relapses between 6 to 12 months." The researchers concluded that lithium orotate is helpful in improving situations where alcohol is causing issues. Other studies have confirmed that lithium may help promote sobriety. Make no mistake, if you're battling alcoholism or drug addiction, get help. But, for people getting support for quitting drinking, lithium may help them stay the course. Just like calcium and potassium, our bodies need lithium as a micronutrient. It works with other enzymes, minerals, and vitamins in the body. You can get lithium through an organic, plant-based diet and by taking supplements. Lithium is naturally present in soil and groundwater around the world. Because of this, plants absorb the mineral by taking it up through the roots. Although "your mileage may vary" — because the amount of lithium found in plants depends on the soil in which it was grown — the options below typically contain higher amounts of this nutrient. Although you most likely will get low levels of lithium through your food and water, supplements are the easiest way to incorporate an adequate serving of lithium into your diet. Lithium orotate and lithium aspartate are available over the counter as nutrient supplements. 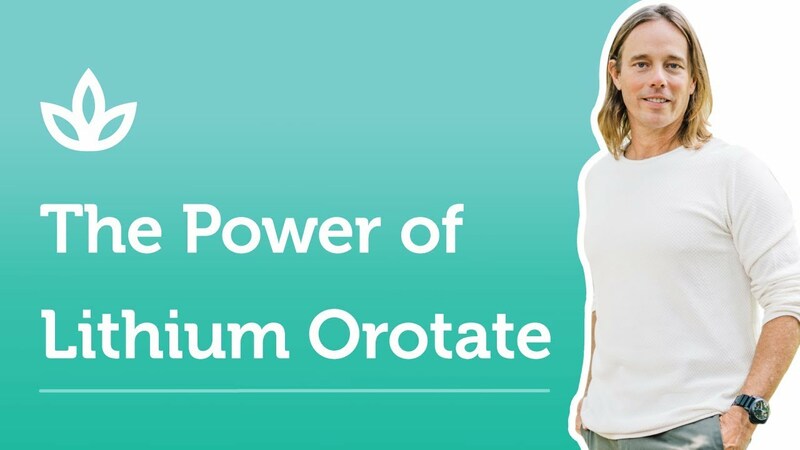 Many people prefer lithium orotate to lithium aspartate because the small orotate molecule enables it to cross the cell membrane, enhancing its potency. Your body naturally produces orotic acid in the body, so it is easy to physiologically process. As such, you need only take low servings of lithium orotate in order to see a positive impact on your physical and mental health. Low amounts of lithium generally do not cause adverse side effects, although you may experience gastrointestinal upset, including nausea and diarrhea. Lithium toxicity may occur if taken in large amounts. Mild to moderate lithium toxicity symptoms include nausea, tremors, apathy, fatigue, muscle weakness, and stomach pains. Larger amounts can also have adverse effects on kidney and thyroid function. Lithium should not be taken by people with kidney disease, thyroid conditions requiring medication, children, or by pregnant and nursing women unless directed by a physician. Also, people with heart conditions requiring MAO inhibitors should discuss its use with a doctor. Some evidence suggests that aspartate is an excitotoxin, which can bind to nerve cells and cause damage if you take lithium aspartate, specifically, in too-high amounts. Additionally, if you take multiple orotate supplements — such as magnesium orotate, calcium orotate, or zinc orotate, as well as lithium orotate — you could end up with too-high levels of orotic acid in your body, which can cause health concerns. Animal safety studies suggest between 50 to 100 mg/kg (milligrams per kilogram) body weight are safe, which is equivalent to 2,250 to 4500 mg orotic acid per 100 pounds of body weight. 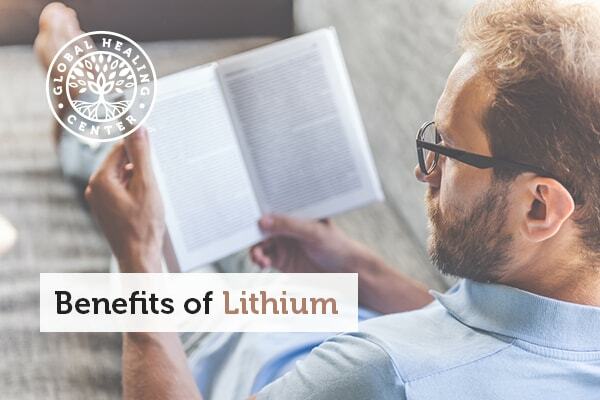 Though not widely known to the general public, many experts in the scientific community understand that lithium is a nutrient that we need for optimal health. Lithium's neuroprotective benefits discourage brain shrinkage, thus reducing your risk of age-related diseases. It is also known to boost thinking skills ("cognitive function") and strengthen your ability to focus. In individuals in recovery for alcoholism, lithium may reduce cravings for the drink. In addition to being helpful for balancing mood and boosting brain health, lithium offers many other little-known health benefits. Lithium supports heart health, bone health, and the immune system. Lithium may also reduce how often people get certain types of headaches (i.e., cluster headaches). Common forms of lithium include lithium carbonate, lithium citrate, lithium aspartate, and lithium orotate. As researchers continue to study the benefits and side effects of lithium, we will learn more about this trace mineral's considerable potential for improving health and well-being. Do you have any experiences with lithium or specifically orotate? Share your thoughts in the comments! Schrauzer GN. Lithium: occurrence, dietary intakes, nutritional essentiality. J Am Coll Nutr. 2002 Feb;21(1):14-21. Gitlin M. Lithium side effects and toxicity: prevalence and management strategies. Int J Bipolar Disord. 2016;4:27. Monkul ES, et al. Prefrontal gray matter increases in healthy individuals after lithium treatment: a voxel-based morphometry study. Neurosci Lett. 2007 Dec 11;429(1):7-11. Cousins DA, et al. Lithium, gray matter, and magnetic resonance imaging signal. Biol Psychiatry. 2013 Apr 1;73(7):652-657. Chuang DM. Neuroprotective and neurotrophic actions of the mood stabilizer lithium: can it be used to treat neurodenerative diseases? Crit Rev Neurobiol. 2004;16(1-2):83-90. Plenge P, Rafaelsen OJ. Lithium effects on calcium, magnesium and phosphate in man: effects on balance, bone mineral content, faecal and urinary excretion. Acta Psychiatr Scand. 1982 Nov;66(5):361-373. Xu W, et al. Role of Wnt signaling in fracture healing. BMB Rep. 2014 Dec;47(12):666-672. Dorrego MF, et al. A randomized, double-blind, crossover study of methylphenidate and lithium in adults with attention-deficit/hyperactivity disorder: preliminary findings. J Neuropsychiatry Clin Neurosci. 2002 Summer;14(3):289-295. Lieb J. The immunostimulating and antimicrobial properties of lithium and antidepressants. J Infect. 2004 Aug;49(2):88-93. Lieb J. Lithium and immune function. Med Hypotheses. 1987 May;23(1):73-93. Zarse K, et al. Low-dose lithium uptake promotes longevity in humans and metazoans. Eur J Nutr. 2011 Aug; 50(5): 387-389.
de Vasconcellos AP, et al. Chronic lithium treatment has antioxidant properties but does not prevent oxidative damage induced by chronic variate stress. Neurochem Res. 2006 Sep;31(9):1141-1151. Dumovic P, et al. Effect of therapeutic dosage of lithium on the heart. Br J Clin Pharmacol. 1980 Jun;9(6):599-604. Guo S, et al. Lithium upregulates Vascular Endothelial Growth Factor in brain endothelial cells and astrocytes. Stroke. 2009 Feb; 40(2):652-655. Kim HJ, Thayer SA. Lithium increases synapse formation between hippocampal neurons by depleting phosphoinositides. Mol Pharmacol. 2009 May; 75(5):1021-1030. Lyoo IK, et al. Lithium-induced gray matter volume increase as a neural correlate of treatment response in bipolar disorder: a longitudinal brain imaging study. Neuropsychopharmacology. 2010 Jul; 35(8):1743-1750. Schrauzer GN, Shrestha KP. Lithium in drinking water and the incidences of crimes, suicides, and arrests related to drug addictions. Biol Trace Elem Res. 1990;25(2):105-113. Schrauzer GN, de Vroey E. Effects of nutritional lithium supplementation on mood. A placebo-controlled study with former drug users. Biol Trace Elem Res. 1994 Jan;40(1):89-101. Nieper HA. The clinical applications of lithium orotate. A two years study [French]. Agressologie. 1973;14(6):407-411. Peatfield RC. Lithium in migraine and cluster headache: a review. J R Soc Med. 1981 Jun; 74(6):432-436. Ganguly G. Alarm clock headaches. J Clin Sleep Med. 2011 Dec 15; 7(6):681-682. Sartori HE. Lithium orotate in the treatment of alcoholism and related conditions. Alcohol. 1986;Mar-Apr;3(2):97-100. Clark DC, Fawcett J. Does lithium carbonate therapy for alcoholism deter relapse drinking? Recent Dev Alcohol. 1989;7:315-28. Marshall TM. Lithium as a nutrient. J Am Physicians Surgeons. 2015 Winter;20(4):104-109. Dong X, et al. Molecular mechanisms of excitotoxicity and their relevance to pathogenesis of neurodegenerative diseases. Acta Pharmacol Sin. 2009 Apr; 30(4):379-387.